I went to the Gem and mineral Show in Tucson,and it as always it was inspiring on so many levels. Part of the show is to the trade only, but all over the city there are pop-up vendors with their gem and mineral specimens. I love the hunt for stones, and being around the people who dig for them makes for great conversation. The earth holds many treasures, and the fact that humans have been digging up minerals and gems, polishing them and wearing them for thousands of years inspires me. 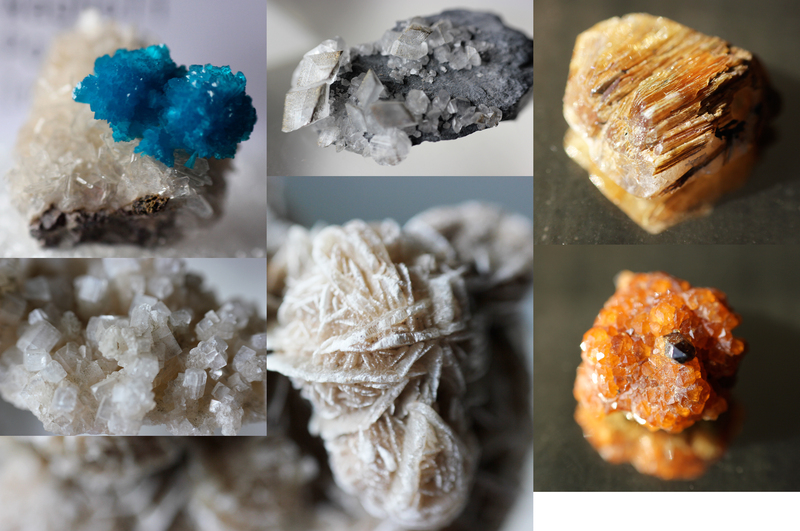 Included in this photo are: malachite,cavansite,calcium,rutile and senelite . This entry was posted in Jewelry, Things that make me happy, Uncategorized by JHJ. Bookmark the permalink.